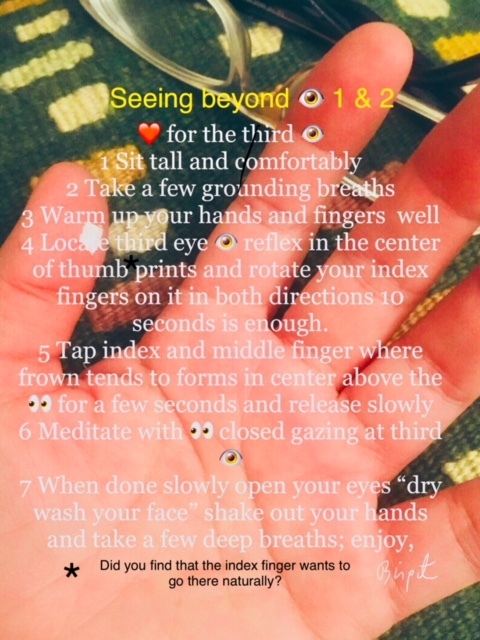 A few days ago I shared an exercise for the eyes that I personally spontaneously did to help my straining eyes. This exercise is for the third 👁 . Little breaks are helpful during the day and keep stress at bay. Obviously we need a lot more but, I trust everyone knows that. Here is the link to the IG post @glimpses that contains a little video and some photos taken yesterday in Central Park.